I’ve been re-decorating again. I’m playing with a new theme called DIVI from Elegant Themes. A theme is basically the “wallpaper” for your website. It’s the part that makes it look pretty, and that allows you to arrange stuff in a variety of ways, depending on the theme’s capabilities. DIVI is a relatively new theme that lets you arrange your website in just about any way you can think of—from one column pages to multi-column pages; from full-width layouts to grid layouts; and with sidebars anywhere you want them. 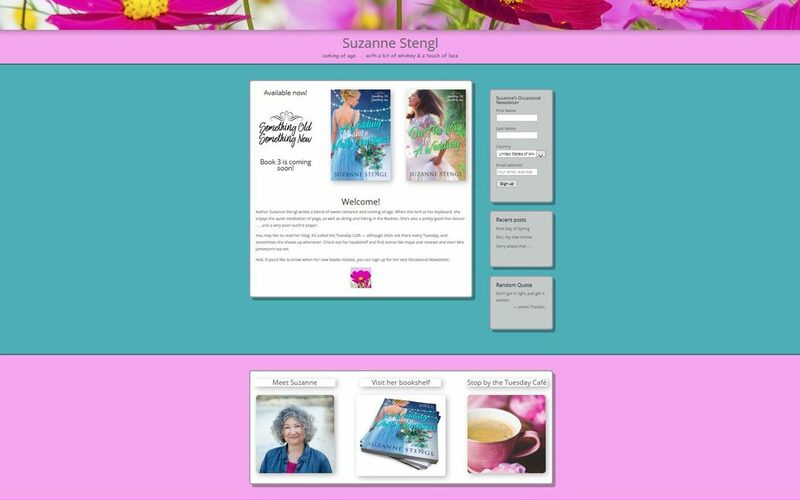 My old website used a theme from StudioPress called Beautiful Pro which is built on the Genesis framework. 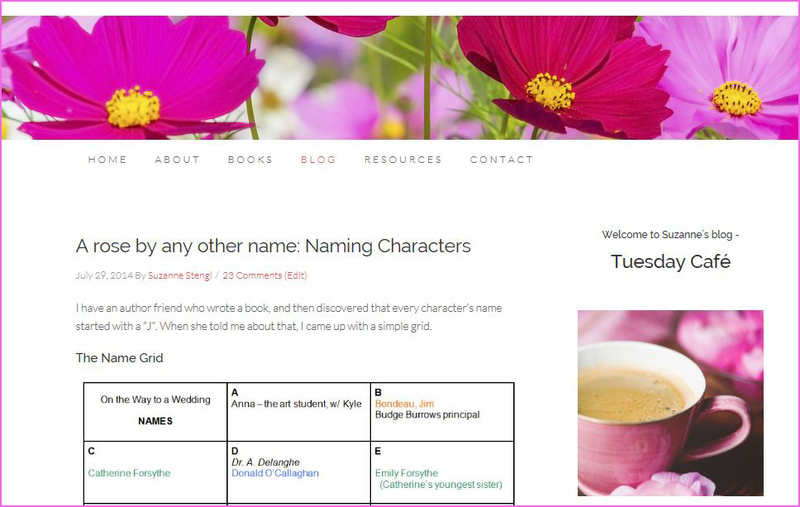 I still like that theme but I’m finding I can do more with my new DIVI theme. And, I suppose, playing with a new theme is a displacement activity—that is, something to keep me from the original job of writing a book. But then, I’m not actually writing new stuff at the moment. I’m in the editing phase of the third book in my SOMETHING OLD, SOMETHING NEW series. The book is with beta readers now, so I’m waiting to hear back from them. And while I wait, I decorate. So, it’s not a big change. I like the banner of cosmos flowers. I like the pink. I like having a Landing Page and a separate blog page. I still call my blog, Tuesday Café—even though it’s not always on a Tuesday. I still need to add my “bookshelf” and I’m planning on adding a page about writing. Tomorrow afternoon, I’m meeting with a fellow author for coffee. She’s one of my beta readers and I’m looking forward to her take on my new book. I’m sure she’ll have lots of suggestions for me.